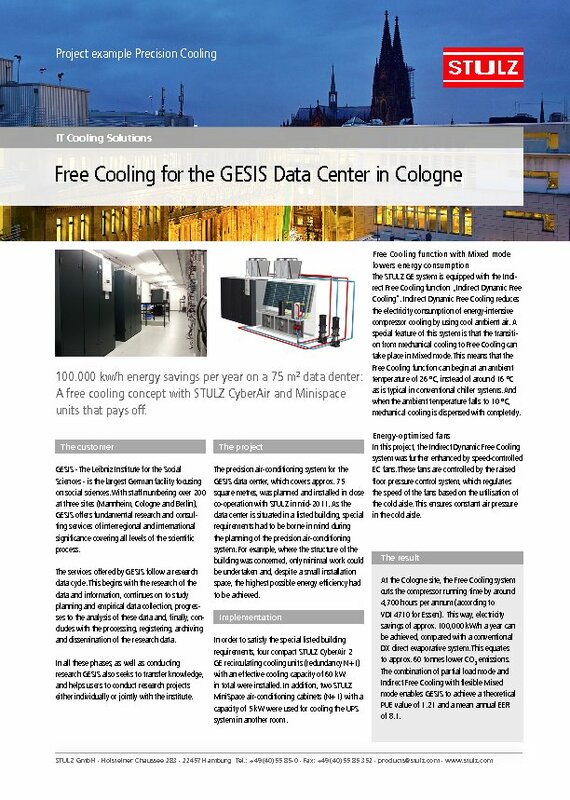 The precision air-conditioning system for the GESIS data centre, which covers approx. 75 m², was planned and installed in close co-operation with STULZ in mid-2011. As the data centre is situated in a listed building, special requirements had to be borne in mind during the planning of the precision air-conditioning system. For example, where the structure of the building was concerned, only minimal work could be undertaken and, despite a small installation space, the highest possible energy efficiency had to be achieved.